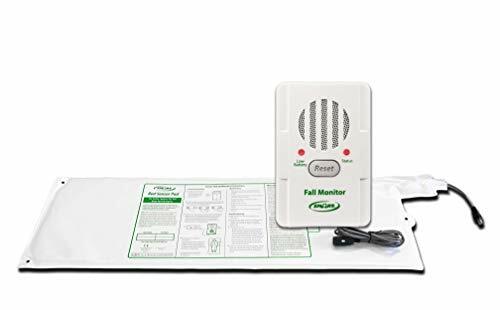 Bed alarm and pad offer an efficient method to be alerted when your patient exits their bed. Long term pad will last one full year. Shorter term pads lasting 45 and 90 days also available - contact seller. 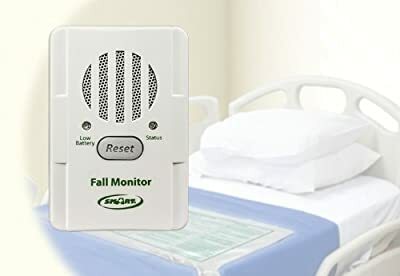 Features a prominently placed reset button to silence the alert, a low battery indicator, a pad lost alert if the pad is disconnected, and volume adjustment. 1 year manufacturer warranty. 10" x 30" pad is made of a soft, latex-free vinyl, with foam interior, and is sealed for incontinence protection. 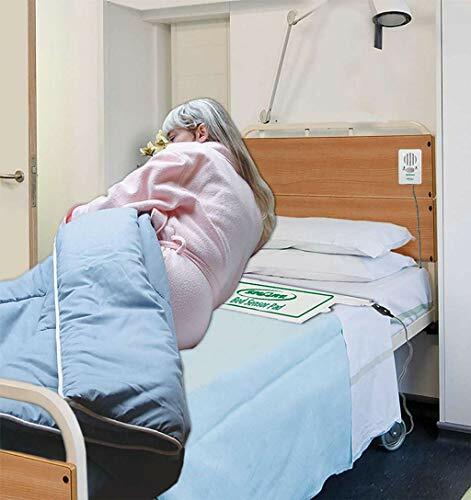 To operate, simply place pad under your patient's back or buttock area underneath the fitted sheet. 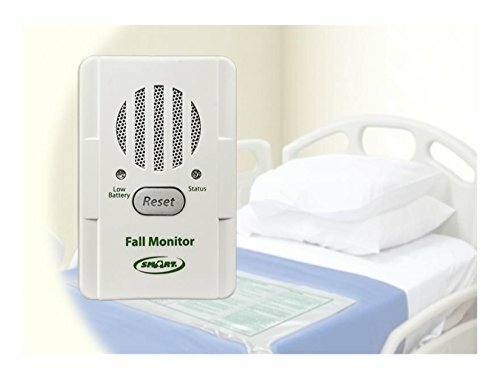 Alarm will sound as patient sits up. Requires one 9 v battery, or purchase optional AC adapter model AC-02 (9 volt).